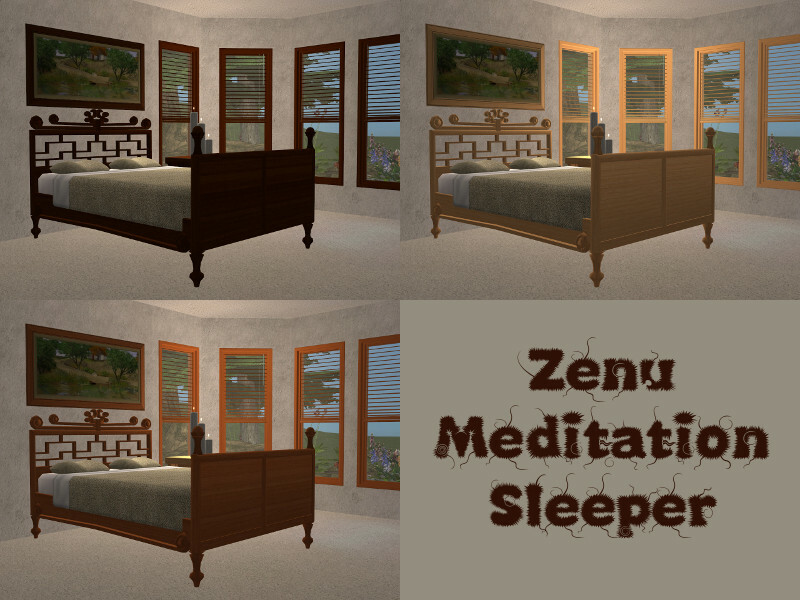 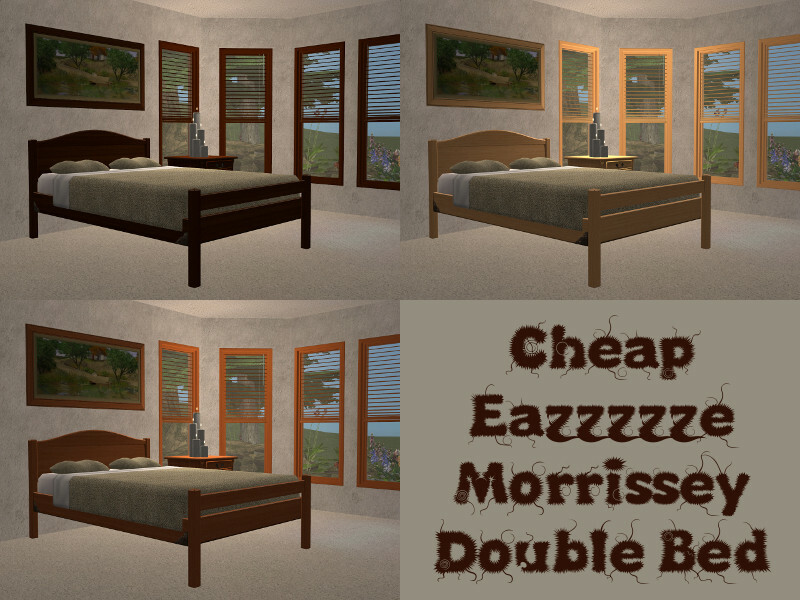 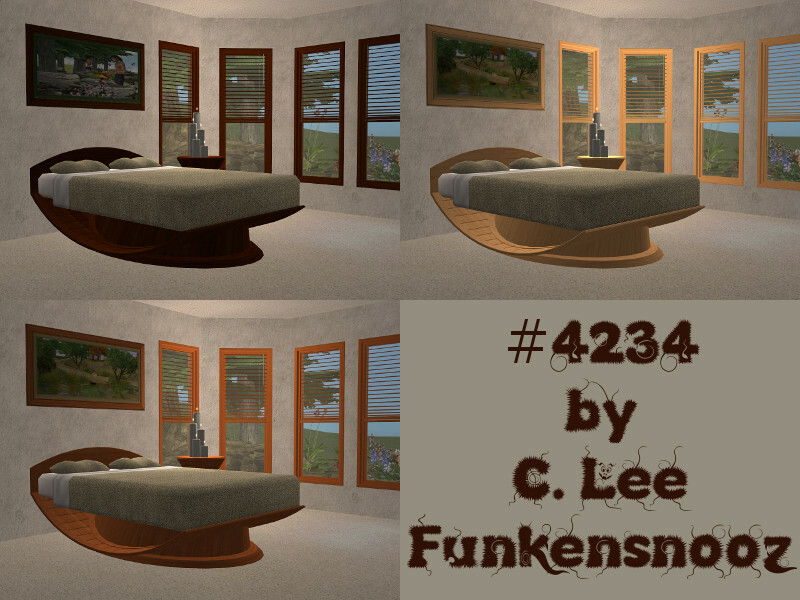 3 Apartment Life wood recolours of the base game #4234 by C.Lee Funkensnooz, Cheap Eazzzzze Morrissey Double Bed, Colonial Ironwood Bed, Courtly Sleeper Day Dreamer, The Soma "Sleep Well", Touch of Teak Bed and Zenu Meditation Sleeper using Apartment Life Wood Colours. 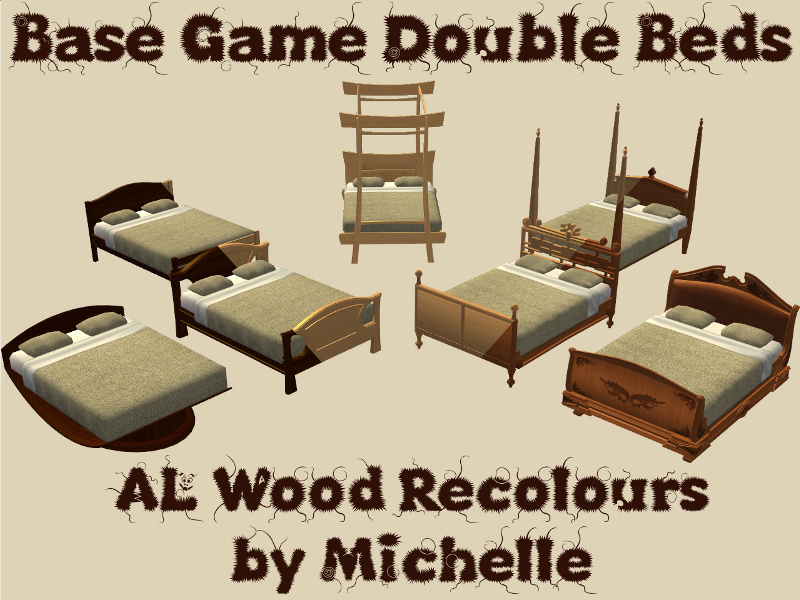 'Wooden Fitted Blinds' can be found HERE, Base Game End Tables can be found HERE, the Base Game Windows can be found HERE and the Gothic Candle Set by TheNinthWave can be found HERE. 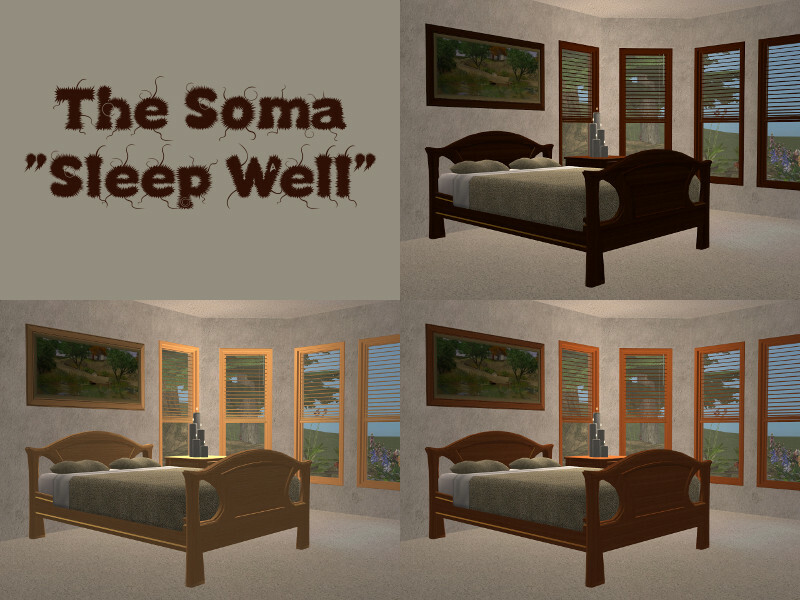 Bedding by me not included. 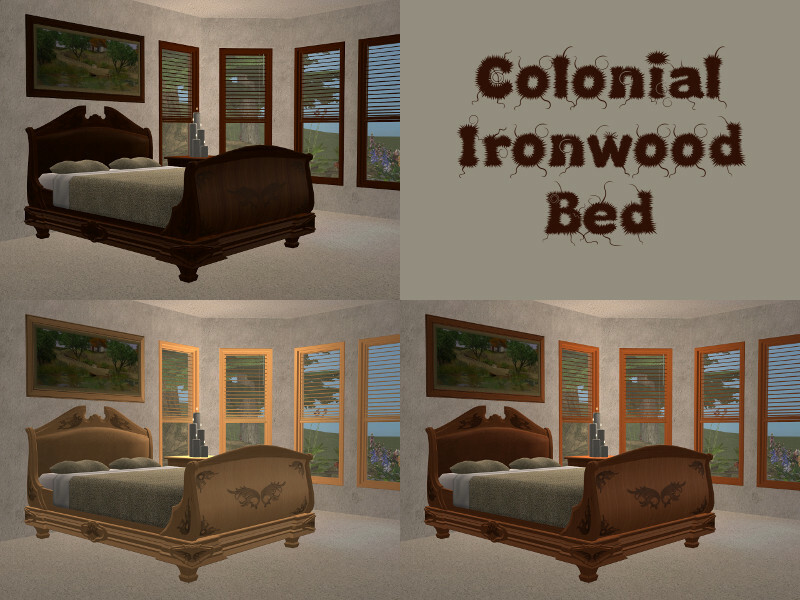 The colonial bed never looked nicer.